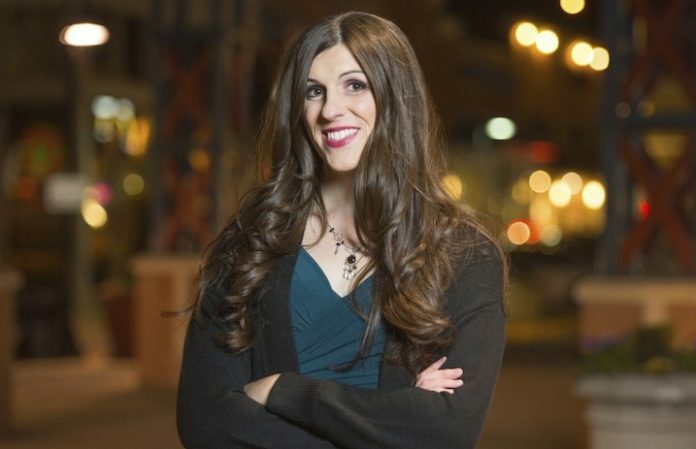 Danica Roem was elected as the first transgender person to the Virginia House Of Delegates on Tuesday, as reported by NBC News. In the history-making political outcome, she will become the first openly transgender state legislator to be seated in the United States. Democrat Roem, a former journalist and longtime metal vocalist, defeated the incumbent Bob Marshall. The unseated Republican is well known for his stance against LGBTQ rights, and he and his supporters ran attack ads disparaging Roem's transgender identity during the campaign. Only one other openly transgender person has been elected to a U.S. state legislature, per the New York Times: Stacie Laughton won a New Hampshire House seat in 2012 but never took office due to a felony conviction. Another politician, Althea Garrison, elected to the Massachusetts House in 1992, announced she was transgender during her term but lost re-election. Watch a video about Roem's Virginia House Of Delegates campaign below. Next articleAre Waterparks bringing back Lil Kidz Bop?